Now that you have Knowledge about your club and community, you need to develop a Strategy to that will make your attractive to prospective new members, club vibrant, relevent to it's members and an asset to the community. The reason we are encouraging a strategy and not a plan is we have found that in may cases people create a plan with basic objectives. Often once that plan is created, it is forgotten. 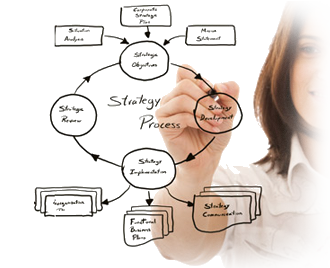 Whereas a strategy, is more in depth and review has strategies for what if. In the left column is some resources you can incorporate into building your strategic plan. Also, remember to add you goals to Rotary Club Central.